Beauty in Prague is a well-established medical travel agency offering high quality, affordable cosmetic surgery packages with extensive personalised post-operative aftercare. With over 20 years’ experience in the market, they take care of all aspects of a trip to Prague for plastic and cosmetic surgery, so you can concentrate on your beauty without stress. Dr Poland works with leading clinics and hospitals across Poland to provide international patients with access to high quality, affordable plastic surgery and dentistry. With over 15 years` experience in the medical tourism sector, they take care of all aspects of a trip to Poland for aesthetic and dental treatment, including finding the best specialist, getting the best quote, travel and hotel bookings, transfers and post-operative care. 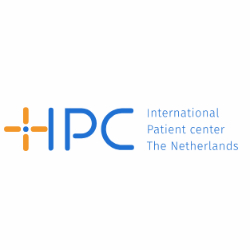 International Patient Center (IPC) is a leading medical travel company that aids patients and referring physicians seeking medical treatment in the Netherlands. Klinikum Medical Link is a network of international surgeons and doctors who offer outstanding quality health care in all of their private and public hospitals across Europe. Located in the beautiful Mexican city of Saltillo, Medical Nexus provides high quality, affordable health services in close proximity to the border with the United States. 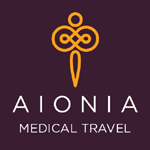 Dedicated to patient comfort and safety, the agency organises all aspects of a trip to Mexico for treatment, from finding the right expert and medical coordination, through booking travel arrangements and accommodation to arranging tourist activities and post-treatment care.